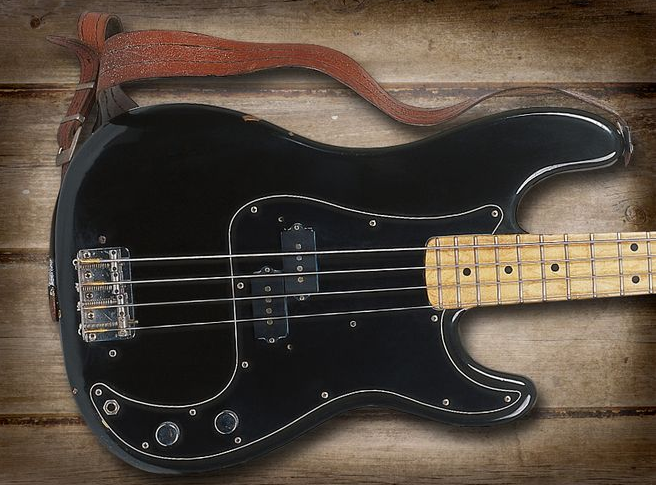 Waters has played many instruments during his Pink Floyd days and into his solo career, including Hofners and a Fireglo Rickenbacker 4001S, but is most closely associated with the black on black Fender Precision he acquired in 1971. 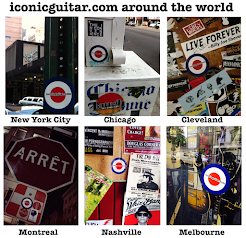 Roger is predominantly a pick player and uses Rotosound flatwound strings. The black Precision features a brass nut and a Seymour Duncan Basslines SPB-3 Quarter-Pound split-coil pickup. Fender recently brought out a Waters signature model that carries the black theme to the extreme with a single ply scratchplate, black anodised bridge and even black strap buttons. I cannot help but want this one. The black polish looks amazing. I already have two Fender bass guitars and an Ibanez basic.